Cat-3 multipair is available in 25, 50, 100, 150 & 200 pair arrangement and offers lot of benefits in terms of cost, space & weight and also reduced installation times compared to multiple runs of standard 4 pair Cat-5 cable. 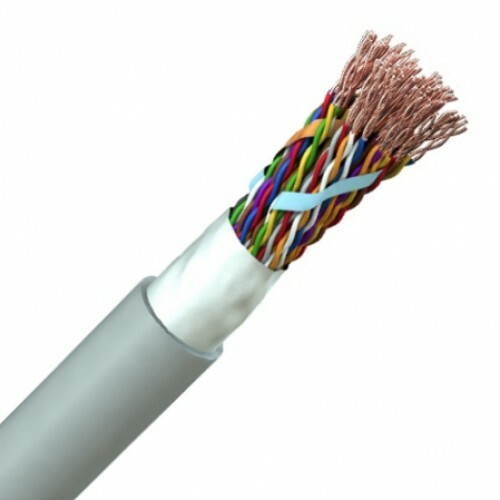 Multipair Cat-5 offers the same advantages as Cat-3 but at higher data transfer rates. Low Smoke Zero Halogen versions are also available. Material for insulation and sheath can be replace by those that do not emit halogens and toxic smoke. Cat-3 Multipair: 24(1) AWG solid plain copper conductor, coloured core identification HDPE insulation, twisted into pairs and laid up, polyester tape, PVC sheath. Cat-5 Multipair: 24(1) AWG solid plain copper conductor, coloured core identification PE insulation twisted into pairs. Laid up into a bundle and jacketed in PVC.